Get your paintbrush and pencils ready! 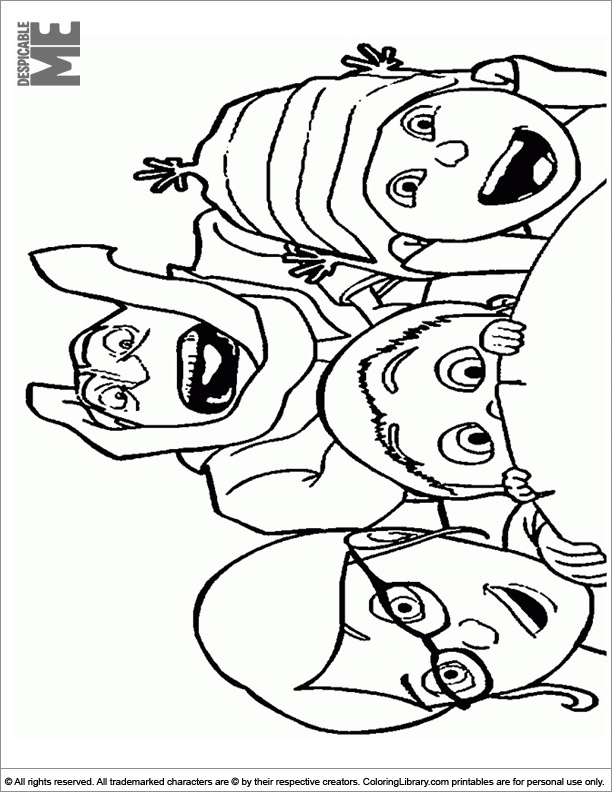 Your kids will be so excited to color this Despicable Me coloring image. There is plenty of variety in the Despicable Me coloring gallery, you can print a bunch for a rainy day. If you like our coloring pages then do not forget to save a couple on Pinterest.